﻿ What is the Song of Growth Hacking and Growth Marketing? 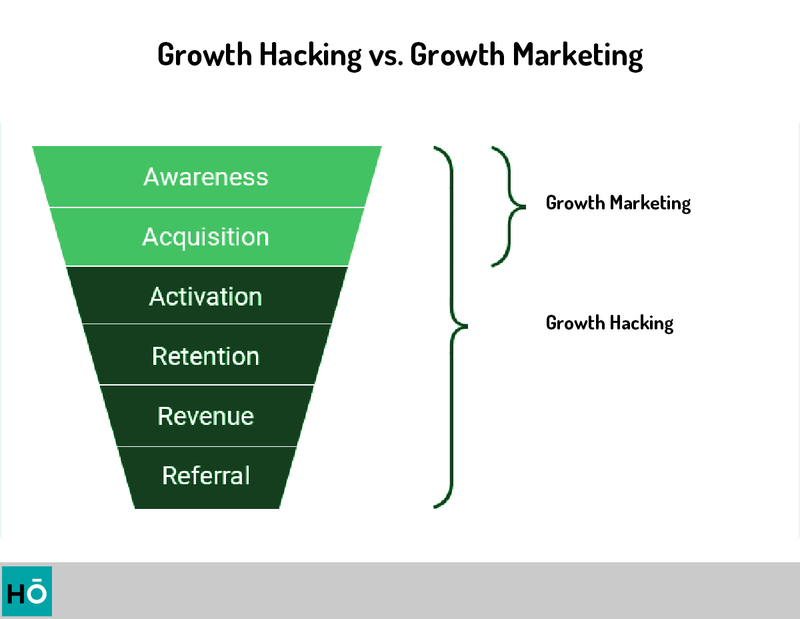 What is the Difference of Growth Hacking and Growth Marketing? The best example of Growth Hacking is the growth tactic Airbnb creates at the exit. At the first airbnb, there was a giant competitor who addressed the same market; Craigslist. For those who do not know we can define it as the US version of his owner. Airbnb needed a very serious user database to grow. But there were no marketing budgets that could provide it. Instead they wrote a back door to Craigslist. When users enter their Airbnb ads, they automatically create a system to be shared on Craigslist. The place where the thing got in the way was that Craigslist did not have an API that allowed it. Details of the Airbnb's growth hacking story from here You can review. I hate to build this sentence because they are attacking at the moment of the death of this sentence, but I have to build it. Growth Hacking is trying to get the new customer the cheapest. Of course, within ethical boundaries. Unfortunately, many customers are defending the ethics of business because of the word "hacking". Well What is Growth Marketing? In Growth Marketing, you focus on getting the most accurate Acquasition with a limited budget. Now I feel like you are asking me, "Is not my budget too limited?" I have to ask you at this point; If your budget is limited, then why do you think "I think" and concentrate your whole budget on one tactic? That's where Growth Marketing comes in. There is no one in Growth Marketing. Just speak the numbers. With A / B tests continuously, the most accurate use of the limited budget is targeted. Application dominant culture in Turkey, which is a very difficult learning this model is based on trial and error and they are completely wrong. The main focus of Growth Marketing is to increase brand awareness and collect the largest number of feedback data possible. Growth Marketing is a study for new customers and focuses mainly on improving the system with feedback that they get from new customers / users. In Growth Hacking, acquasition channels are used, but then with the focus on retention and referral channels, profit-driven studies are introduced. -AARRR model- In fact, as methodology, they carry out very similar activities, so those who have two titles often enter into each other's field. I have to give a few statistics at this point. In fact, I will repeat a fact that we know more painfully. We're getting closer to sinking every second we do not get new customers. The number of loyal customers always tends to decrease. On the other hand, it is almost impossible to increase profitability rates with customers who make a one-time purchase. We need loyal customers to be profitable. Why? Pricing Positioning I've been talking about it for a long time. On the Growth Hacking side, a problem is first addressed and a definition is achieved. If we reduce the metric bounce rates from 70% to 30%, which will make a difference for us, this will be determined and ideas will be released for this. These ideas are tested in small experimental groups and you choose the most accurate method with A / B tests. The common point of both models is "Growth Thinking". Both Growth Hackers and Growth Marketers think entirely growth-oriented. Doing SEO, SEM or social media marketing is not "growth hacking." It's just marketing. Problem is some marketers & start-ups do not get that. I can not even mention the matter. There are only those who focus on the conversion optimization part. They are also digital marketing specialists. Could it be a digital marketing specialist who does not bother with conversion optimization? Thank you, I have resumed the development in the sector for about 5 years, but then again, can I be like you someday?